This weekend I'm looking forward to going to the amusements even though I restrict myself to the waltzers -Funny story is from last year when I was about to buy a ticket for the American Road Trip amusement and it stopped working for twenty minutes hence why I stick to ground activities bar bumper cars. Anyway that whole ramble leads to me writing that candyfloss is a must for the funfair so today's makeup is inspired by that ! If you'd prefer to watch a video of the application of this makeup instead of words you can watch it on my YouTube channel here ! 1. 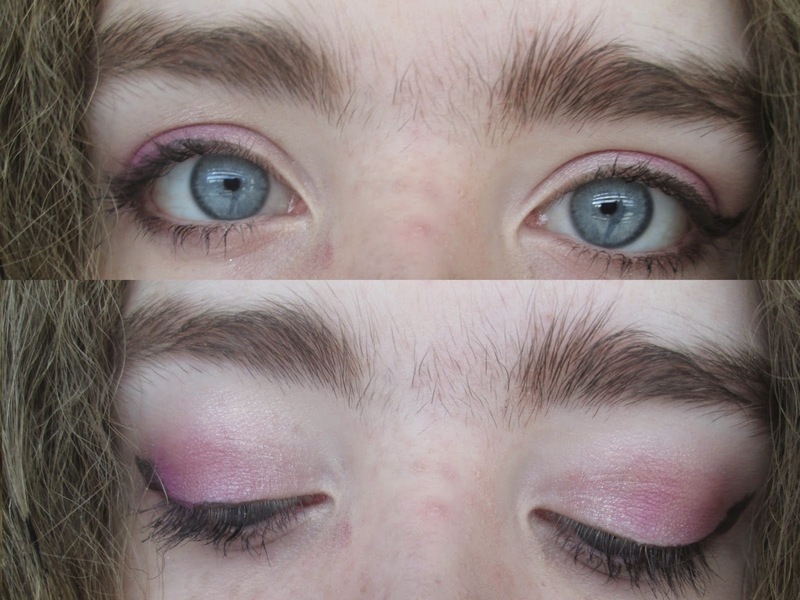 First, I applied a beige eye shadow all over my eye lid and up to my brow bone. 2. Next I used a pink shade and began blending from the outer lid inwards. 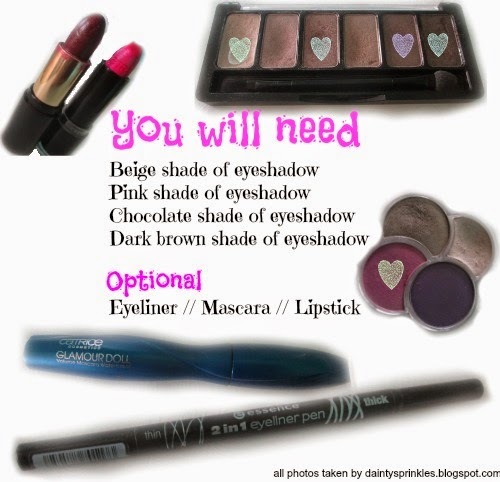 The colour is most pigmented on the outer corner and fades as it reaches the centre ! 3. I then used a smokey eyes brush and applied the same shade to my outer crease. 4. Over this area using the same brush, I applied a chocolate brown shade to give a darker look. 5. After this, I blended all the colours in together and then finished with a dark brown on my lower lashline, Applying it lighter as it reached the centre again. 6. This of course is optional, but i finished this look off with winged eye liner and mascara on both my upper and lower lashes. I also blended pink and berry lipsticks to wear on my lips. I really hope you like this look and before this post is finished, I must mention I should have said from the start ! Dainty Sprinkles has made the longlist of two categories in the Blog Awards Ireland - Best Youth Blog and Best Lifestyle Blog ! I am so delighted and over the moon and I cannot thank everyone who nominated enough ! Congratulations to all the bloggers who also made the longlist which you can read here - Thank you so much again !